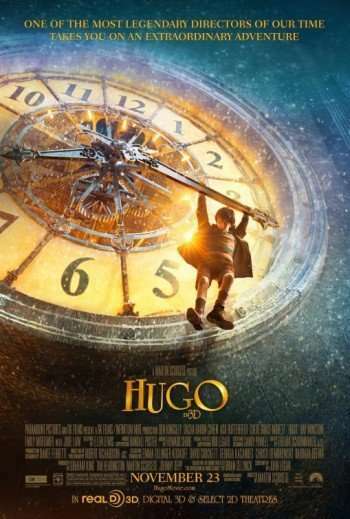 Screened on Saturday as part of the AFI FILM FEST, HUGO is a big-budget 3D family film from MARTIN SCORSESE that’s based on BRIAN SELZNICK’S novel THE INVENTION OF HUGO CABRET and tells the story of an orphan boy living a secret life in the walls of a Paris train station who has adventures with an eccentric girl and a stoic toy shop owner. The screenplay was written by JOHN LOGAN and the cast includes ASA BUTTERFIELD, CHLOE GRACE MORETZ, BEN KINGSLEY, SACHA BARON COHEN, JUDE LAW and CHRISTOPHER LEE. 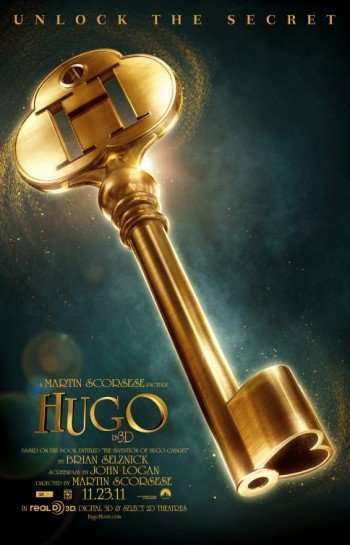 As supposed by several critics, last night’s “mystery screening of a work-in-progress by a legendary director” turned out to be HUGO, a 3D family film from MARTIN SCORSESE. 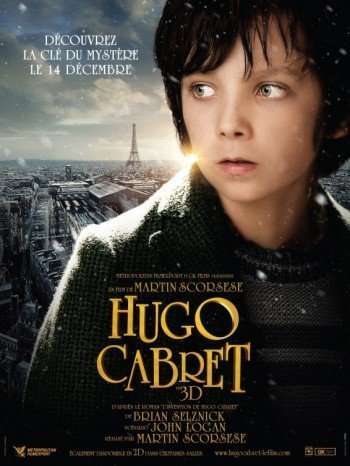 Based on BRIAN SELZNICK’S novel THE INVENTION OF HUGO CABRET, the story centers on an orphan boy living a secret life in the walls of a Paris train station who has adventures with an eccentric girl and a stoic toy shop owner. The screenplay was written by JOHN LOGAN and the cast includes ASA BUTTERFIELD, CHLOE GRACE MORETZ, BEN KINGSLEY, SACHA BARON COHEN, JUDE LAW and CHRISTOPHER LEE.